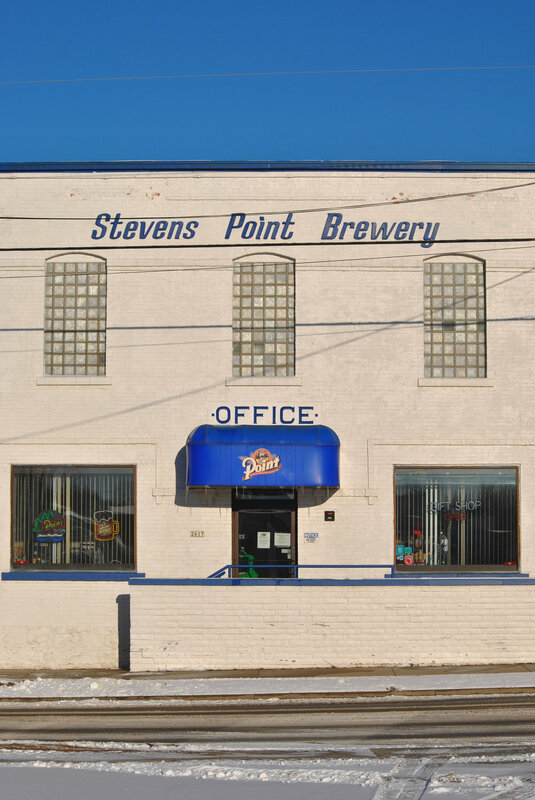 When you talk the history of American brewing, there are very few with the storied history of Stevens Point Brewery. Located in a somewhat remote part of central Wisconsin, beer has been brewed on this site since 1857, making them the third oldest continuously operating brewery in the United States. Once at the center of Midwest brewing, ‘Point’ has historically stuck to tradition, while the ever-changing trends of the craft industry swirl around them. Today, while Point Special Lager continues to satiate the Wisconsinite masses, the brewery’s begun to adapt to changing palates. A sparkling new pilot system adorns their taproom, and Stevens Point has created spin-off brands like Whole Hog Beer and CiderBoys which allow more creative license. The world of ‘craft’ beer is changing fast. 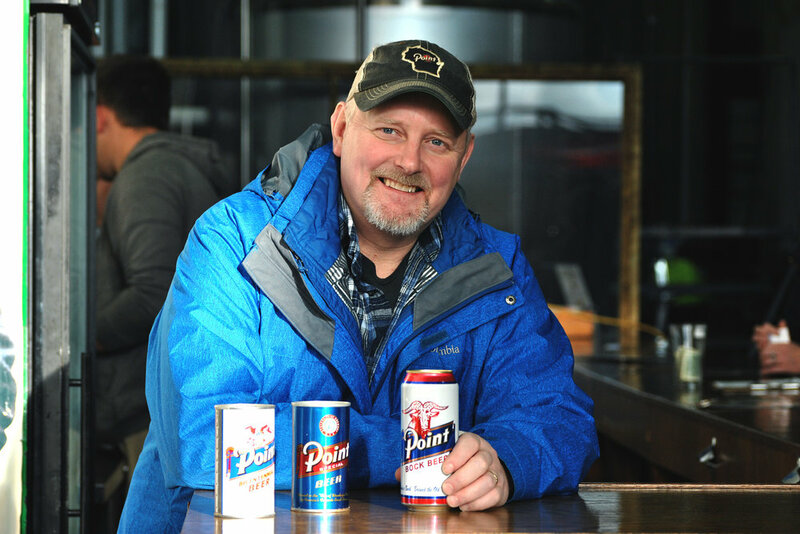 Where do you see Stevens Point’s place in the beer world today? Our situation is really unique because many big brewers are simply too big to be ‘craft.’ I think if we were much bigger we'd have a hard time being fitting that definition, being crafty. We are small enough where we can still go in a lot of different directions with beer. We still get to take some chances. If craft were to suddenly go away, we'd still be here. But it wouldn't be nearly as fun. To me, making all domestic lagers… that's not fun. It's great if they turn out good, but it's not innovative. I want creativity to always be something we focus on. Who are you targeting as your primary drinker? Right now, we’re working to focus more on making Millennials our number one focus. We know they're going to be our long-term customers. But it feels like we’re still in lager country, no? It's getting better. I could just go off my wife and my family’s perspectives. We used to show up at holiday parties and everyone was drinking a light beer, and we'd have something craft. Now we show up and it's clearly changing fast. There's been a good shift. Trends kind of seem to work their way from the outside of the country in. So much of Point beer is about honoring the past, but we see a lot of ‘new’ in the taproom here. Yea, there're a lot of changes here lately. There’s a lot of styles that will be leaving and a lot of styles will be filling some gaps as we try some new things. We didn't have a pilsner, porter, or IPA for here many years, for instance. When I first got here, they were mainly focused on lagers. They did have a wheat beer, in addition. Now we have two series out. We have Whole Hog which is our ‘Brewmaster's Series’—higher alcohol, bigger body. Then we have our normal brand line, Point. We also make soda and have our own cider brand, CiderBoys. Cider is probably half of our business now actually. Our situation is really unique because many big brewers are simply too big to be ‘craft.’ I think if we were much bigger we’d have a hard time being fitting that definition, being crafty. We are small enough where we can still go in a lot of different directions with beer. We still get to take some chances. What's changed at the brewery in recent years? Well, we have a lot of good, new equipment. Quality and consistency were probably the biggest changes in the last five years. We know you do a lot of contract brewing out of this facility. Great QC has got to be a major sticking point. When we bring a contractor through, this [laboratory] generally seals the deal. We have a specific offering for all our contract customers, and it comes with a pretty nice quality control package behind it. How much of your business is contract versus your own beer? We must be about 40% contract right now. And how long has that been a part of what you do? Oh, as long as I can remember. Actually I think our first big contract was back in the early 2000's. It was Karl Strauss from San Diego. We did all their brands. I want to say it cost them $3.68 per case to ship it back to them...which is extreme. That's your profit margin right there. [B]rewing seems to be ever-changing, and still welcoming. It’s something different, with new challenges–both good and bad. And surprises–good and bad. I love my job and I’m passionate about it. I love brewing. It’s like my wife’s told me—this was the job I was meant to do. You were working with some Chicago breweries–for contracting–for a while, correct? We worked with Hopewell and Baderbrau for while, and we worked with Chicago Brewing Company a while back also. Actually we worked with them for four or five years in total. 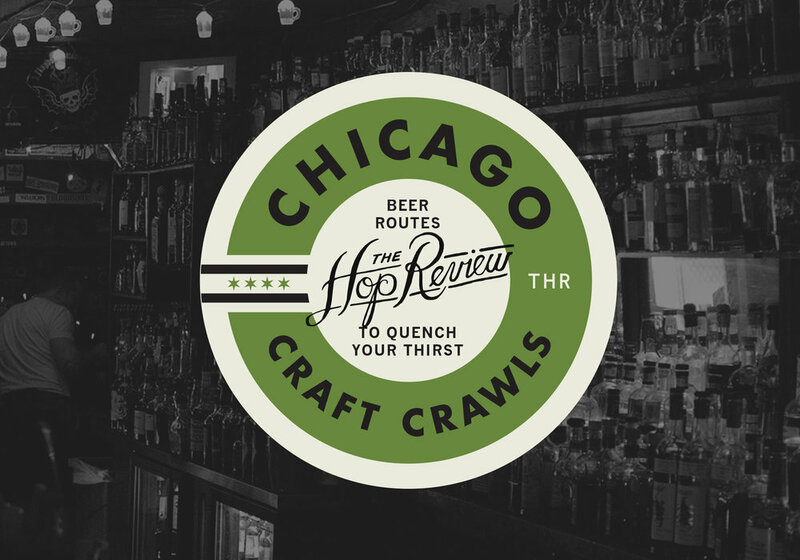 Another brand we’ve worked with from Chicago is Veterans Brewing. How many breweries do you contract for at any given time? You can see up to eight or nine here at a time. Almost all of them are in-state–Wisconsin–breweries. That’s a heck of a lot of beer in addition to your own Point brands. Your beer is best known for being in bottles–but have you seen a shift in your clients’ preferences toward cans? Oh yea. Seven, or eight years ago, we would can once every two weeks. Now we can almost as much as we bottle. Obviously the bottle is still king in the area. But we invested in a new canning line three years ago, and we use it a lot. Canning used to be kinda weird for us at Stevens Point. We would go a month sometimes without firing it up. But now, every week we can several different times. And are you canning Point beers? Oh yea, almost everything for Stevens Point is in both bottles and cans. This facility is seemingly packed, every nook and cranny. Are you at capacity here? Yea, we're actually trying to buy houses on our block for potential expansion. We've so far bought two…and that took 10 years to accomplish. Because, the homeowners nearby understand how badly we want, and need it. But right now we're just kind of waiting. We have to ask… What's the story with the cone-head mascot? Long story short, the man behind that character, we believe, was the Brewmaster way back in the day. We’d found a 100 or so year old brewery ‘team photo’, and he was flanking everyone in the image. Just because he was dressed better than everyone else, we’d assumed he must’ve been the guy in charge. He clearly had a little more money than the rest. We're guessing he was here at Point sometime around the turn of the century. And the cone head tweak? Aside from the many beers you personally brew, what are you drinking outside of work? Before I was [brewing] I used to work in the cheese industry for 14 years. If I could add bratwurst to the resume, I’d pretty much be the ultimate Wisconsinite. I'm a big fan of Bell's. I love their barrel-aged stuff. But, I always like traveling and trying new stuff. It drives my wife nuts. When we go out of town, the first thing I do is look at the map and find all the local breweries. But, she's a it of a convert now. And are you originally from Stevens Point? I was born about an hour and a half from here. For a while, I lived in Lake Geneva and engineered roof trusses, of all things. And then I just kinda funneled my way closer back to home. It's just blind luck getting back in here, really. I'm a big believer in fate and destiny. Other than roof trusses, what's your background prior to brewing? Before I was here I used to work in the cheese industry for 14 years. A different fermentation! If I could add bratwurst to the resume, I'd pretty much be the ultimate Wisconsinite. How'd you ultimately end up here, as Brewmaster? I just wanted something new. There was an opening here, and they said, “How’d you like to work at the brewery?” Absolutely I did! Over time, I worked my way into the Brewmaster role. The fun thing about working in breweries is…they're just different. ‘Manufacturing’ across the board is a very competitive thing, but in brewing it seems to be ever-changing, and welcoming. It's something different, with new challenges–both good and bad. And surprises–good and bad. I love my job and I'm passionate about it. I love brewing. It's like my wife’s told me—this was the job I was meant to do. A huge thank you to Mike for showing us around historic Stevens Point Brewery and to the Central Wisconsin Craft Collective partnering on the trip. You can find Mike’s Point, Whole Hog, and CiderBoys brands in stores and bars throughout the Midwest.